We’re pleased to announce today that we’re expanding into the Canadian market. Beginning today, Canadians can now choose to receive free crystal-clear calls to any phone number within Canada with the one-time purchase of the Ooma Telo. Premier subscribers in both countries can enjoy unlimited free calls between the U.S. and Canada. 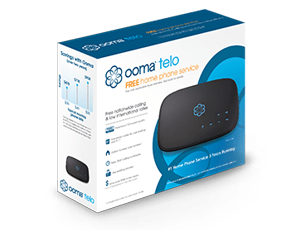 Since Ooma began offering free home phone service in the U.S. with the Ooma Telo, our subscriber base has grown quickly, doubling in the last year alone. We’ve received frequent requests to bring Ooma to Canada because of the high cost of phone service there and we anticipate a healthy level of interest in eliminating expensive monthly phone bills. Based on an average Canadian phone bill of $40/month, the Ooma Telo pays for itself in just six months and customers will save more than $200 in the first year, more than $600 in just two years and nearly $2,000 in five years. 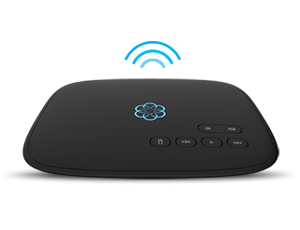 Today, the Ooma Telo is now available at www.amazon.ca and London Drug in Canada at an M.S.R.P. of $229.99 CAD. The Ooma Telo includes a one-year limited warranty, a 30-day money back guarantee and a free 60-day trial of Ooma Premier service. Additionally, live customer service will be available by phone moving forward in both English and French. Could you please confirm that a Premier subscriber from the U.S. can now call anyone in Canada for free. If this is true, I am one happy Premier subscriber! You don’t mention if you can port your current canadian ph number. I have the ooma in my vacation home in the US and find it fantastic. I am a current Ooma user and have been really pleased with the quality of service so far. It is good that Ooma has expanded its service into Canada but it is however time for them to spread their wings to the Caribbean and offer “at least” international calls to countries like Jamaica at the same low cost and quality. The company is overlooking a viable and profitable market which would significantly grow their market base.